Home › Blog › (English) #12DaysofChristmas Event in Magic Jigsaw Puzzles Facebook Community! 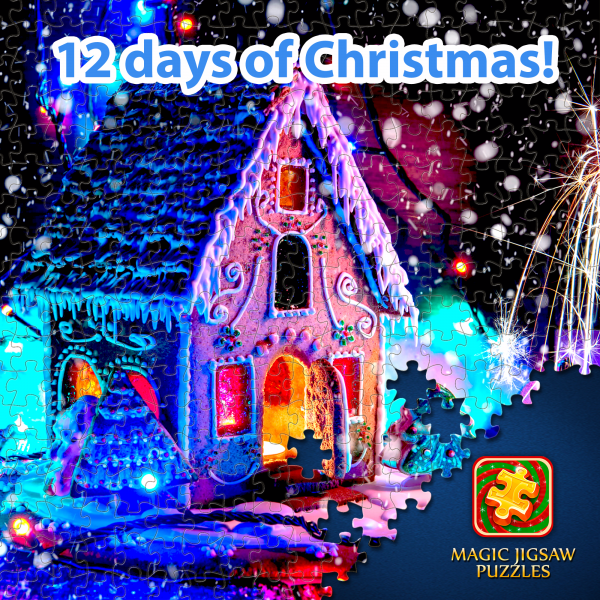 (English) #12DaysofChristmas Event in Magic Jigsaw Puzzles Facebook Community! From 25th of December up to the 5th of January we ran #12DaysofChristmas event in Magic Jigsaw Puzzles community. For 11 days we shared fascinating and geeky posts about our game and jigsaw puzzles in general. Each post contained a giveaway contest and our subscribers won plenty of beautiful puzzle packs and in-game coins! Thusands of people joined our Xmas giveaway marathon! Our followers needed to guess when was the first release of Magic Jigsaw Puzzles, choose the most solved pictures among multiple variants and solve other quizzes. In general, the event was received very positively and we’re are really glad and thankful to our followers. More cool events are on the way! Stay tuned!